Dave Clawson's rebuilding of the Wake Forest program got off to a slow start with the Demon Deacons staggering to a 3-9 season. Clawson's second season isn't expected to be much better as his young players continue to develop and adjust to the big-time college game. Wake Forest celebrates the hiring of Dave Clawson, formerly of Bowling Green, as its new coach. I really like this poster because of its uniqueness. In the nine years of doing this feature, I haven't see a poster quite like this. 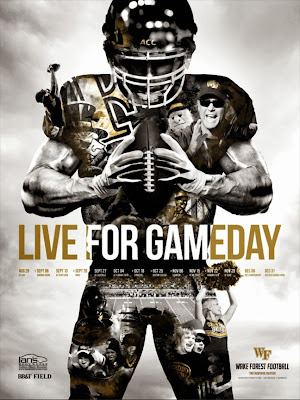 Below is the standard team poster featuring home and away games. Perhaps producing three posters will help break Wake Forest's skid of four consecutive losing seasons. 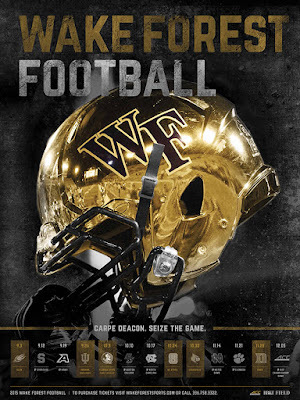 The Demon Deacons were at their best from 2006-08, winning 28 games, including two bowl games and the Atlantic Coast Conference title game. In the last four seasons, the team has 19 wins. 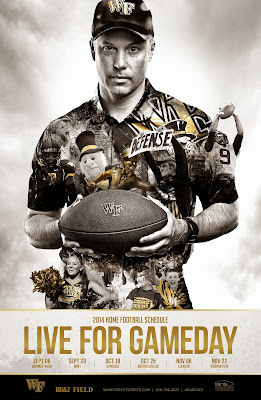 Besides the main poster up top, the team has featured tailback Josh Harris, below, and flanker Michael Campanaro, bottom. Editor's note: Harris was ruled ineligible for his senior season late last week. The reason behind the ruling remains unclear and while it's unfortunate for Wake Forest, that's the risk involved with the poster business. This situation has happened before. In 2006, quarterback Rhett Bomar was featured on Oklahoma's poster, but he was dismissed from the team after a report stated he was paid for work that he didn't perform at a Norman car dealership, a violation of NCAA rules. The dealership was owned by a Sooner booster. Bomar transferred to Sam Houston State. Wake Forest slipped past Liberty, 20-17, in its opener and opens Atlantic Coast Conference play Saturday against North Carolina. BB&T Field at night serves as the backdrop for Wake Forest's poster schedule. 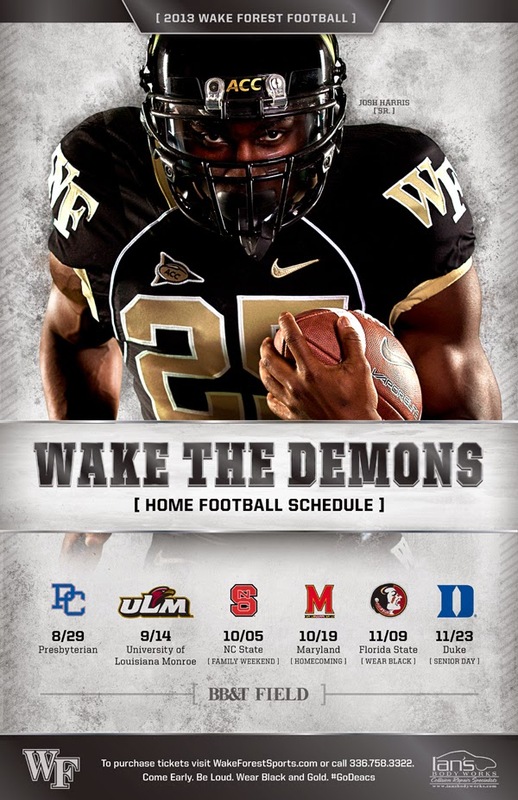 The Demon Deacons are coming off a forgettable 3-9 season and, outside of a Sept. 17 home game against Gardner Webb, face a daunting schedule, including a Nov. 5 home game against Notre Dame. Thanks to Nicole. Click the image to enlarge.